In this tutorial I will show one simple and short way how to use quickviews in FPM. In this example we want to see the name of the corresponding health insurance for its operation number in a list guibb. First of all we implement a corresponding feeder class which implements the interface if_fpm_guibb_qv_thing. In the public section we define a global private variable for the text. 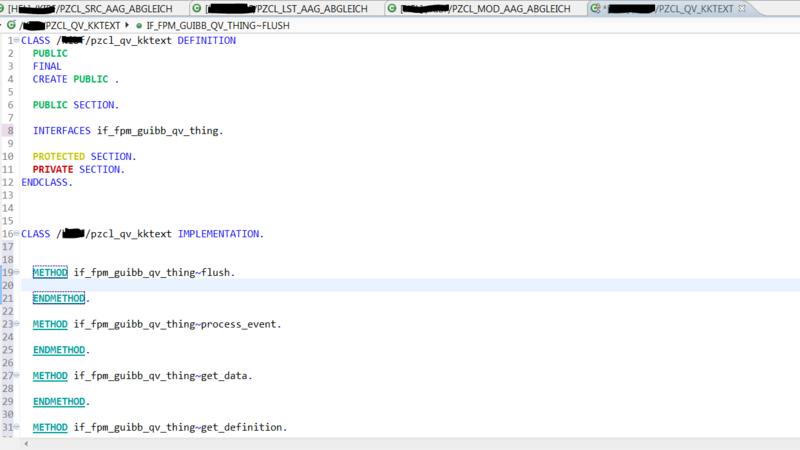 eo_field_catalog = CAST #( cl_abap_structdescr=>describe_by_data( p_data = gs_data ) ). SELECT SINGLE kktxt FROM t5d11 INTO gs_data-kktext WHERE btrnr = iv_key AND endda >= sy-datum. After we have added a short text we have to select the package and, if needed, a transport request. Then we add our implemented feeder class for the quickview. Can you please add the result as it looks for the user?